Are Slick Affiliate Fraudsters Boosting Their Conversion Through Cookie Stuffing? Cookie stuffing: no, it’s not a delicious snack. It’s an illegal practice designed to cheat merchants out of their own hard-earned profits. If you work with affiliates to drive sales, you need to get the scoop on cookie stuffing, before it tanks your next campaign. In affiliate marketing, an advertiser typically provides the affiliate with a link to add to their site. Any time a customer clicks on that link, the advertiser attaches a cookie to the customer. 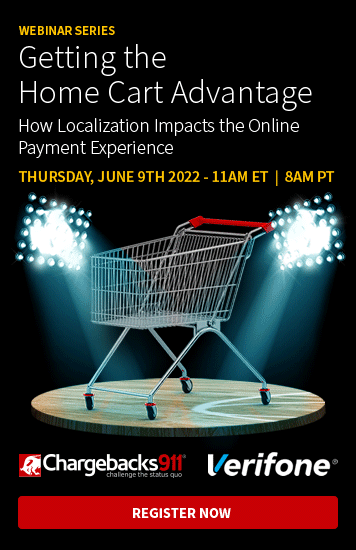 If the customer completes a purchase within a predetermined period of time (usually within 30 days of initially clicking the link), then the advertiser will attribute the sale to the affiliate and pay-out a commission. Compared to more general methods like card-linked marketing, affiliate marketing can be a great way to attract buyers to a niche market. In contrast to legitimate affiliate marketing, cookie stuffing is a practice by which an affiliate uses HTTP cookies to collect commissions on goods they did not sell. For example, a review site that is part of an affiliate network might engage in cookie stuffing by marking anyone who visits their site with cookies from numerous different advertisers, such as eBay, Amazon, and others. If the shopper visits any of those sites later and completes a purchase, the tracker will identify the cookie stored on the customer’s device and attribute that sale to the fraudster, even though the customer didn't click on the affiliate link. It’s true that the individual did visit the affiliate’s site, and eventually did make a purchase from the advertiser. However, correlation is not necessarily causation. The affiliate site did not directly drive that sale; they simply loaded a cookie on the customer’s device to get credit for it. Is Cookie Stuffing Really a Problem? Affiliate cookie stuffing is considered an unethical marketing tactic, and the practice has consequences. Marketers found to engage in cookie stuffing will usually be banned by their affiliate or CPA network, as it falls within the purview of affiliate fraud. Most Cases Are Smaller-Scale: Affiliates using this technique want to avoid getting caught. They will use the tactic on a smaller scale to avoid attracting attention. Other Advertisers Aren’t as Powerful as eBay: A company like eBay has the resources to pursue a major fraudster, but most merchants don’t. Many Advertisers Lack the Expertise: The point is to fly under the advertisers’ radar; thus, cookie stuffers will take precautions to hide their behavior from victims. Cookie stuffing is just one of many threats to your affiliate campaign. Ensure your next campaign is a success. Click to get started. Cookie stuffing seems like a minor problem compared to other affiliate fraud tactics like click fraud or identity theft, which steal millions from advertisers each year. Those unearned commissions add up, though, and can be much more serious than you realize. How Can I Identify Cookie Stuffing? Advertisers with conversion rates outside of the norm on either extreme could be a sign of affiliate cookie stuffing. If conversion rates are high, it may suggest that the advertiser is employing adware to drop cookies with cardholders who are already shopping. Low conversion with high traffic, on the other hand, suggests the advertiser is dropping cookies everywhere in hopes that a customer will randomly end up on an advertiser’s page. Be wary of any affiliate whose site seems unimpressive, but who still manages to generate a lot of traffic. Without any reason for customers to visit the affiliate’s website, the most likely explanation for high conversion is cookie stuffing. HTML redirects are an easy way to hide cookie stuffing, as the customer is sent to a secondary page for a split second before being referred to the advertiser’s page. Fortunately, they are also easy to identify; by examining the analytics for your site, you can see which referring pages to your site are redirects. The time between a customer clicking a link and ultimately buying a product is referred to as click latency. Naturally, conversions should decrease as time following a click increases. It should be regarded as very suspicious if there is no obvious relationship between click latency and conversions. One of the best methods to ensure that all the affiliates involved in your program are honest is also one of the simplest: manual approvals. After all, you wouldn’t go into any other business relationship with a stranger, so why would you make an exception for a new affiliate? Each applicant to your affiliate program should be screened and reviewed manually to ensure that it is a reputable and trusted lead source. You can review each applicant’s customer service skills to know that they will represent your brand well. Also consider their reputation among other advertisers, as this can help ensure they will not cheat you out of undue commissions. Of course, affiliate cookie stuffing is only one of many potential threats to your next ad campaign. Other malicious forms of affiliate fraud are out there waiting to drain your campaign and flood your business in costly chargebacks. 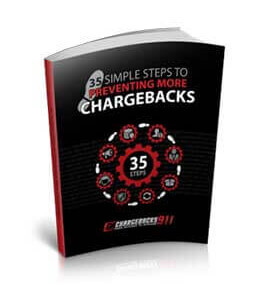 Chargebacks911® and Kount recently collaborated with ClickBank to produce a special case study demonstrating the effect of our revolutionary solutions for the performance marketing sector. 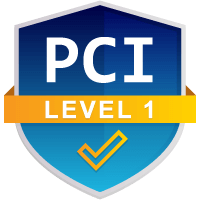 No other chargeback company can promise the incredible ROI provided by Chargebacks911. Cookie stuffing is just the beginning. Get proactive in dealing with affiliate fraud. Get Chargebacks911.